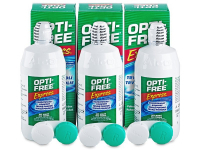 Our special economy pack contains three 355ml bottles of Opti-Free Express Solution. It is suitable for disinfecting and storing all types of soft contact lenses and helps them retain moisture for up to 24 hours. 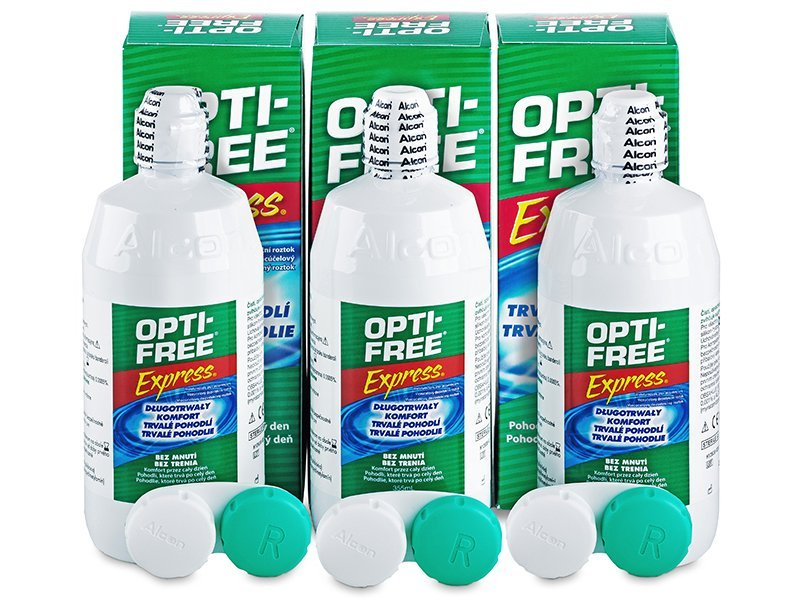 OPTI-FREE Express is a highly efficient, universal contact lens solution produced by Alcon. One of its active ingredients, known as poloxamine, provides excellent moisture and enhanced comfort for up to 24 hours. 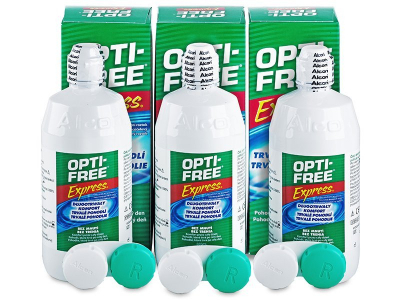 OPTI-FREE Express is suitable for cleaning, rinsing and storing all types of contact lenses. This package contains three 355 ml bottles of solution and three contact lens cases. Just curious if this is a preservative-free solution? Or if you have anything similar for sensitive eyes?